Belief is on my vision board for this year. It’s one of my themes along with courage and faith. This week I have had several reminders, prompts from friends, from circumstances shifting and such regarding belief and my struggle sometimes to hold onto it. A part of the yoga philosophy is to start each practice with a beginners mind even when you’ve been doing the practice for years. To not shroud today with yesterday, you may be a little off your game today, balance not quite right, and that’s OK. It’s about bringing yourself present. Being exactly where you are now. 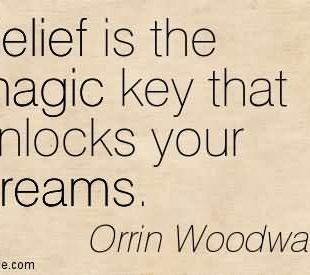 For me when I think of belief I come back to this concept as I have slipped in my belief on occasion that things will work out, and that circumstances will improve. This is based upon what I thought I should have achieved by now, by in the past me having had belief and things still not working out, so I guess against my better judgement I had become a little jaded, perhaps my heart a little lost and cynical. But it’s about each day being a new page in the adventure of you life, write a good one, don’t be scared just because something hasn’t yet worked out. That’s been my message this week, even having read it on a sign above a dry cleaners, it was literally spelled out to me. So what if things haven’t yet panned out according to yourself, perhaps there’s something better in store, if only you could believe it to be possible. So that’s where I wrap up this week, in serious belief that things are unfolding as they should and that things are on the offing that are even better than my wildest dreams. 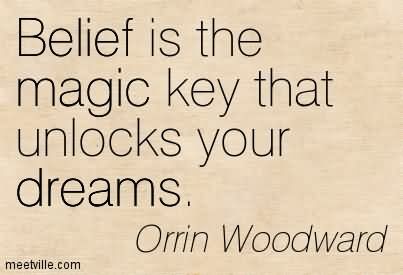 Here’s to a week of beliefs, dreams and wonderful pages of your own wonderful Life Story being written.